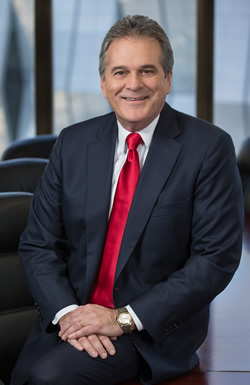 Blair Shahbazian is a partner with the Construction Law Team and Real Estate Law Team and served as managing partner of Murphy Austin Adams Schoenfeld LLP from 2008 to 2012. He formerly was a partner of Diepenbrock, Wulff, Plant & Hannegan, LLP, with which he started his legal career in 1986. His practice area focuses on general civil litigation and transactions with emphasis in construction and real estate law, including negotiating and drafting contracts; public contract procurement, including bid protests; and real estate litigation. He has represented public and private property owners, developers, general contractors and subcontractors, design consultants, public entities, property management companies, receivers and suppliers of goods and services. Blair is a member of the Sacramento County Bar Association’s Construction Law Section and the American Bar Association’s Public Contract Law Section and Forum on the Construction Industry. He has served as a Pro Tem Settlement Conference Judge and Arbitrator for the Sacramento County Superior Court, as well as an Early Neutral Evaluator for the United States District Court, Eastern District of California. Blair has spoken on issues concerning public and private contracting and construction for the American Arbitration Association, the California Continuing Education of the Bar, Lorman Education Services, the Sacramento County Bar, the National Purchasing Managers Association and Sterling Education Services. Blair is rated AV Preeminent by Martindale-Hubbell. He is listed in 2013 through 2018 editions of Northern California Super Lawyers and in Sacramento Business Journal's 2016, 2018, and 2019 “Best of the Bar” lists. He graduated from University of California, Davis with a B.A. in Political Science in 1982 and earned his J.D. from Hastings College of the Law in 1986. Representation of public and private property owners, developers, general contractors and subcontractors, design consultants, public entities, property management companies, receivers and suppliers of goods and services.